The “fourth trimester” can be very stressful for new moms. Two recent studies found that women need time to get comfortable with their new roles as mothers. Read on for more details from the studies and tips to get you through the first few months confidently. Two recent studies reviewed new mother’s states of stress and happiness. Polled 2000 mothers with children 3 years old and younger. They determined that it takes an average of 3 months and 13 days for mothers to feel like they have the hang of motherhood, the New York Post reports. 53% of the mothers reported that the first few months were a blur due to their stress over getting things right. Was published in the Journal of Sexual and Reproductive Healthcare and found that it can take even longer, up to six months, for a new mom to get comfortable in her role. I found both studies comforting and relatable. I had changed two diapers before having my daughter. I was extremely nervous about going into motherhood with such low experience. However, like the women in the study I found my groove. I became the expert when it came to my daughter. You can get there too! Read on for 5 tips to gain more confidence in those first few months of motherhood. Not every book or suggested method is going to work for you, so read a few parenting books to find your favorites and what works for you. Healthy Sleep Habits, Happy Child, 4th Edition: A Step-by-Step Program for a Good Night’s Sleep by Marc Weissbluth M.D. Baby’s love routines and routines also help you to know what comes next, which will help you gain confidence. Whether it be midnight feeds (Example: wake up, pick up baby, change diaper, feed, sing a song, back to bed) or bedtime (Example: bath, feed, story, bed). Create your routine and each time you do it you will get more and more comfortable with it and can start to learn your baby’s signals for when the routine should start. 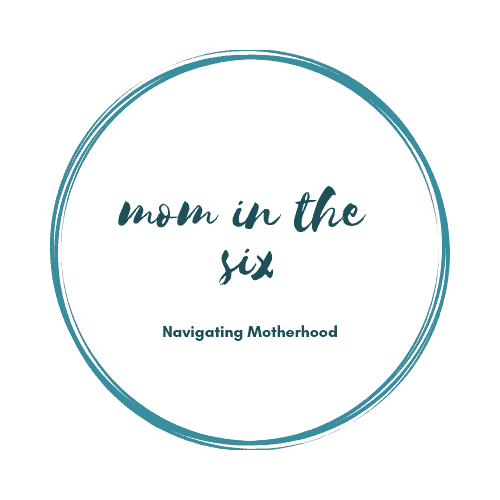 Find moms who are a little ahead of you, whether they have a baby slightly older or are already in the toddler stage it will be comforting to have someone tell you “that’s totally normal” or “here’s how I handled it”. Start slow at first, maybe just a walk around the block and build up to longer outings. It’s a great confidence booster to go out in public with your baby and have a nice time out. Just know that some days baby might just not want to cooperate, and that is ok too. Learning to handle poopie diaper explosions or a crying baby when out in public is easier when you’re close to home and can “abandon ship” and get home quickly. Other moms should be your support, not your competition. If a “too-perfect” mom is making you doubt yourself then keep a distance and find someone you can relate to and supports you. Every baby is different, every mom is different, but find someone who shares your parenting philosophy and is there for you. Remember: Babies cry. It is inevitable. It is normal. You are a good mum. Being a new mom can be a stressful time and even those who are “naturals” will have times where they are unsure what to do. Remember you are not alone, there are people around who can help you and give advice.